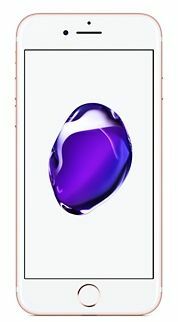 Sleek and stylish as always with a touch of rose gold and never heard before features, Apple never fails to surprise you! Now you can stop worrying about the elements taking a toll on the phone as the iPhone 7 rose gold is water and dust resistant. Offering two hours longer battery than the iPhone 6, Apple has delivered the best battery life ever seen on an iPhone. The quad core A10 Fusion processor is about 40 percent faster than the A9 CPU featured in the iPhone 6. Click sharp, detailed selfies and look your best as the front camera captures images at 7MP. It even includes optical image stabilization to ensure blur free images. The Apple iPhone 7 has a FaceTime compatible camera, 4G LTE network compatibility, and 128GB of storage space. THERE IS NO FACETIME IN THIS PRODUCT. I live in South Africa and this is the first time I have ordered from Souq. I was very impressed with the price of the iPhone and the regular from the time of purchase to delivery was very professional. I will definitely order online from Souq again, well recommended. Received the product as what it was advertised. It was authentic and delivered faster than the expected date.